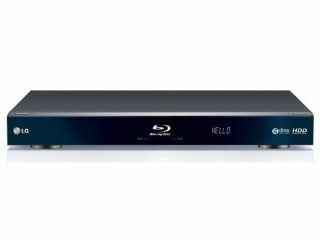 LG has scored a world first with this hard drive-packing Blu-ray player. The BD590, unveiled at CES 2010, is the new flagship Blu-ray player from LG. It will come with all the features of the BD390, including BD Live, web content etc, as well as a 250GB internal hard drive. The addition of an HDD opens up all sorts of extra functionality. You'll be able to rip and store CDs onto it for instance, and use the new and improved GUI to play all of the MP3s stored on it. It can also be used to store photos and video files in a variety of formats. Look out for this deck arriving later this year in the UK.